The border between the United States and Mexico has been a tinder box of disputes ever since it was redrawn with the Treaty of Guadalupe Hidalgo in February of 1848. Less than two weeks prior to the conclusion of the Mexican-American War, James Marshall discovered gold in the American River near Sacramento, Calif., and some historians have speculated that if that discovery had occurred sooner, our border might still be at Oregon. Violence at the border of Nogales dates back more than 100 years. In November of 1915, the Villista army of Pancho Villa in Nogales, Sonora, Mexico, fired upon the U.S. Army soldiers in Nogales, Ariz. American soldiers returned fire for several hours before a force of Constitutionalistas arrived to counter-attack the Villistas. Amidst the chaos, the Constitutionalistas opened fire on American soldiers and another skirmish was fought resulting in the deaths of several Mexican soldiers. In October of 2012, a teenage Mexican boy, Jose Antonio Elena Rodriguez, was killed by a United States border patrol officer who fired across the Nogales border. 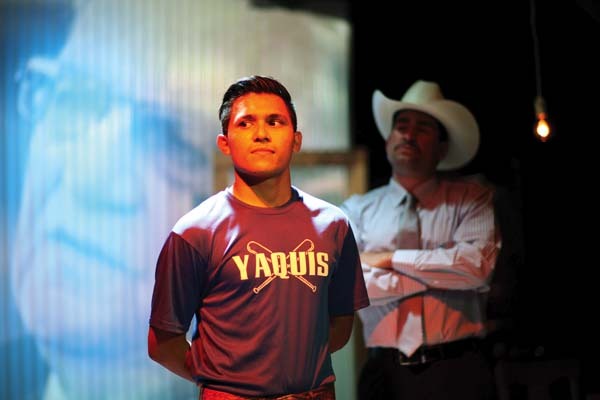 “Nogales: Storytellers in Cartel Country” traces in reverse the victimization of an innocent bystander in a new theater piece deeply relevant in today’s political environment. 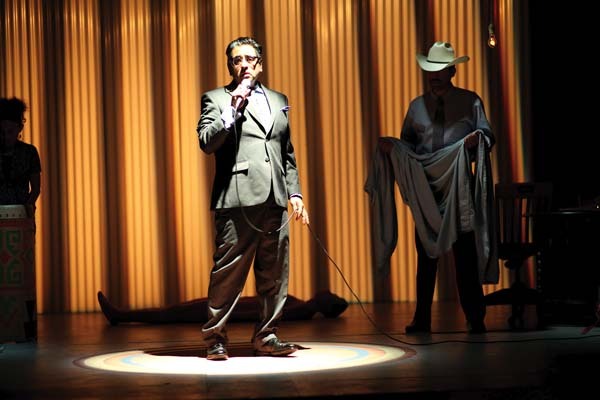 Written by Richard Montoya (co-founder of San Francisco’s acclaimed Chicano performance troupe Culture Clash), “Nogales” uses researched text with video projections set against scenic art installations. In creating the play, Montoya, director Sean San Jose and filmographer Joan Osato traveled to Phoenix and Nogales where they immersed themselves in the border. “Nogales” is a journey into a border culture grappling with the flux of immigration, rising tensions and anti-immigration sentiments responsible for militarization. Documentation becomes performance tracking bullets beyond headlines and politics instead exploring the true lives of real people including the infamous Arizona sheriff Joe Arpaio, played by Montoya. Montoya and Osato filmed Sheriff Arpaio for two hours and Arpaio’s dialogue in the play is directly lifted from the interview. Since 2005, border patrol agents and customs officers have killed 45 people, including 15 Americans. Agent Lonnie Ray Swartz emptied his weapon through slats on the border fence into Mexico, hitting Jose Antonio Elena Rodriguez (Stephen Narcho) 14 times in the back and head leaving him face down in a pool of his own blood, according to court record. Swartz said he used deadly force because Rodriguez was throwing rocks as marijuana smugglers were being chased as they climbed the border fence. Eyewitnesses say Rodriguez was walking down the street. A former assistant commissioner of the Customs and Border Protection’s Office of Internal Affairs said in a deposition that no rocks were thrown, and that it was implausible for rocks thrown from the Mexican side to hit someone on the U.S. side because the U.S. fence is about 25 feet higher. Nearly three years later, trial proceedings commenced with Swartz facing the charge of murder, the first time a U.S. law enforcement officer has been charged in a killing across the U.S.-Mexican border. The trial has now been delayed for more than four years (postponed a second time by the Arizona court in February) and now scheduled for mid-June. When the presiding U.S. District Judge Raner Collins set the February trial date, after postponing the original Nov. 7 start date, he expressed the need for the trial to begin because the numerous delays were affecting the Rodriguez family. “It’s important to the family. It’s important to everyone else. I need a put-up, shut-up date,” Collins said in November. Last month, Swartz’s attorneys requested the latest delay “to adequately prepare for trial.” In those same four years “Nogales: Storytellers in Cartel Country” was conceived, researched, written, produced, directed, rehearsed and is now on tour. 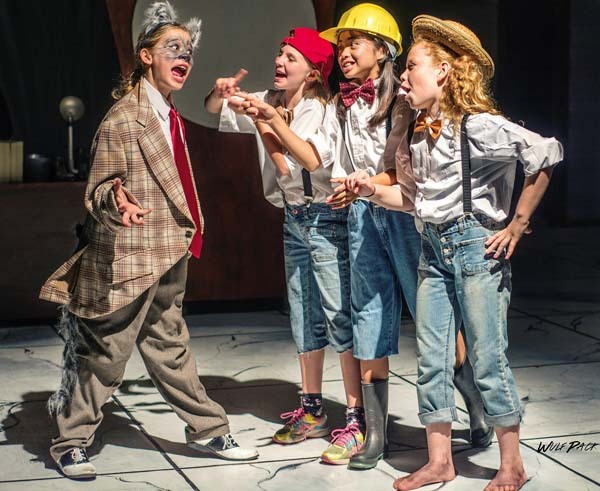 The Three Little Pigs (Rylynn Guthrie, Sienna Schwartz and Jamie Tirona) file a damage claim against the Big Bad Wolf (Dakota Welch) who counter-sues for bodily harm. A cast of Mother Goose favorites like Little Miss Muffet (Kaylee Herman), Little Red Riding Hood (Rose Hamre), Jack and Jill (Ethan Baysa and Isa Fenadez-Congero), Little Bo Peep (Georgia Eyerman) and many more are instructed by the Court Clerk (Leila Andrews) and Judge Wise O. Al (Makai Neustein) to present both sides of the story, but further questioning and a Surprise Witness (Emily McCarger) reveals that no one in the courtroom is without their failings. 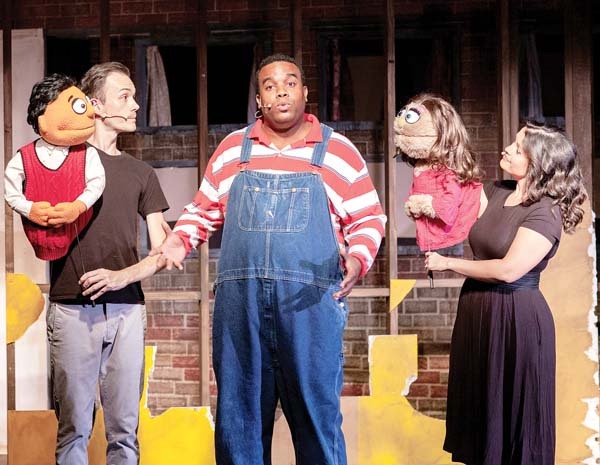 The pun-filled, fast-paced parody features 25 children between the ages 8 and 14 and is just under 60 minutes, making it a great fit for small children experiencing live theater for the first time. 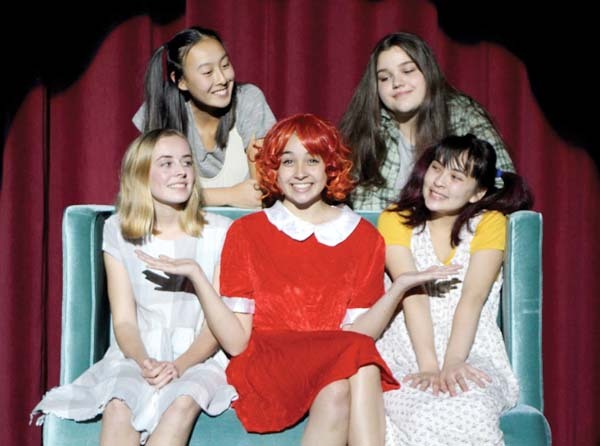 * Maui OnStage Youth Theater continues “The Trial of the Big Bad Wolf.” Performances are at 11 a.m. Saturday and 1 p.m. March 19 at the Historic Iao Theater. Tickets are $10 adults, $6 youth. To purchase tickets for any Iao Theater event call 242-6969 or order online at www.mauionstage. com. Maui OnStage concludes “Dirty Rotten Scoundrels,” book by Jeffrey Lane, music and lyrics by David Yazbek, directed by Lisa Teichner. Lawrence Jameson (Steven Dascoulias) makes his lavish living by talking rich ladies out of their money. Freddy Benson (Ross McCully) more humbly swindles women by waking their compassion with fabricated stories about his grandmother’s failing health. After attempting to work together they discover their small French town isn’t big enough for the two of them. Agreeing on a contest the first to extract $50,000 from heiress Christine Colgate (Lia Krieg-De Souza), wins and the other must leave town. 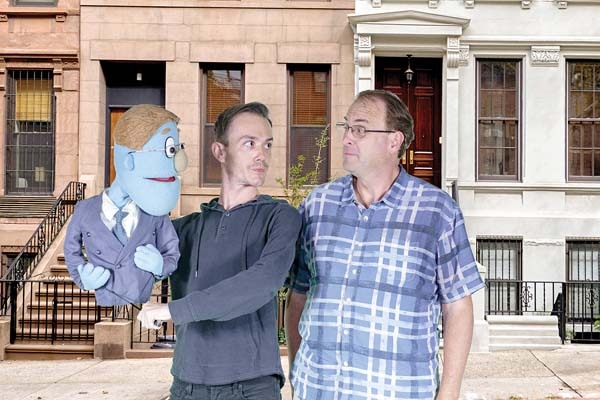 This unconventionally charming and hysterical production contains adult content and is not appropriate for small children. 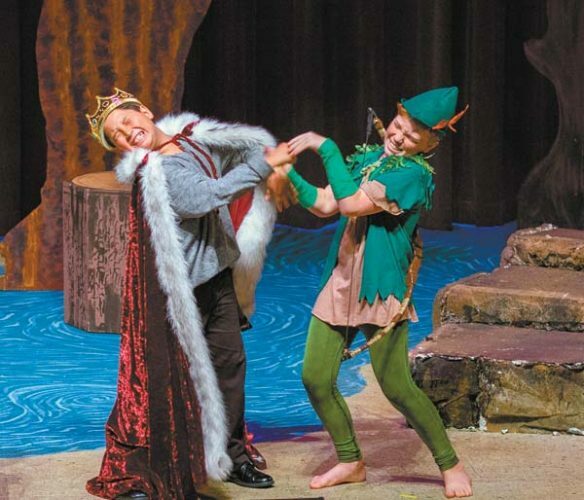 * Performances are 7:30 p.m. Friday and Saturday and 3 p.m. Sunday at the Historic Iao Theater. Tickets range from $20 to $40. To purchase tickets for any Iao Theater event call 242-6969 or order online at www.mauionstage.com. 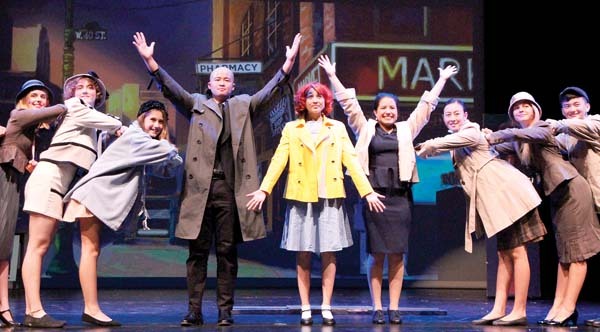 MAPA hosts its annual spring gala, “Parisian Cabaret,” an evening of Broadway-style entertainment, fine dining, party games, a live auction and libations. This evening of cabaret supports MAPA’s work in education and the community and will feature live musical selections inspired by the film “Moulin Rouge” performed by local stage stars Logan Heller, Kathryn Holtkamp, Ricky Jones, Lin McEwan, Rebecca Narrowe, Hoku Pavao, Kristi Scott, Karen Stavash, Felicia Chernicki-Wulf and Jason Wulf. * The event takes place from 6 to 10 p.m. on Friday at the King Kamehameha Golf Club in Waikapu. Tickets are $150 per person or $1,500 to $5,000 for a table of 10. 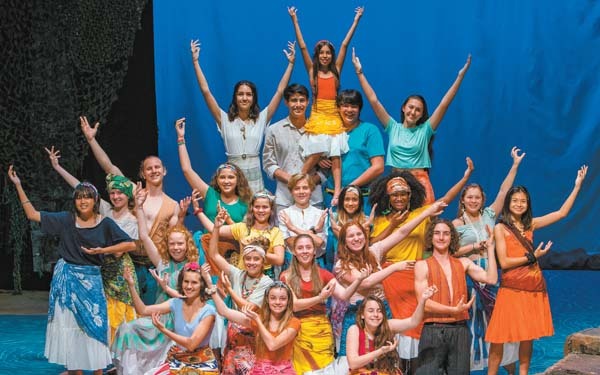 To purchase tickets or for more information, call 244-8760 or order online at www.mauiacademy.org. The all-inclusive annual spring extravaganza begins with passed cocktails at sunset and live classical arrangements of Broadway standards followed by four buffet stations by Catering from Soup to Nuts, a hosted bar sponsored by Hali’maile Distilling Co., and a dinner theater experience of sneak peeks from the five productions slated for its 2017-18 season. * The event takes place from 5 to 9 p.m. April 1 at the oceanfront Aloha Aku Inn in Kihei. Tickets are $150 per person or $1350 for a table of 10. For reservations, call 244-8680 or order online at www.mauionstage.com.